With growing interest from across the ditch in the New Zealand BNT V8s Championship, Australian V8 driver Jack Smith has confirmed he will line up on the grid again, when the 2018-19 season gets underway at Pukekohe in November. Claiming a number of podiums and a race win last season, Smith will again campaign a Holden Commodore with Hamilton Motorsports and team mate Lance Hughes. The 19-year old finished fifth in the standings last season and was the top rookie and says the top tier New Zealand V8 championship provided some of the closest racing he’s experienced. “My first season was great I really had a lot of fun. The field was awesome and even though the grid was small it was some of the closest racing I’ve experienced. We had a few dramas at the first round but once we got it all sorted the car was great, I really enjoyed driving it,” says Smith. Smith says that with the New Zealand championship rounds largely in the Australian off season, the BNT V8s provided some hugely beneficial miles and the opportunity to improve his race craft before his 2018 season of Dunlop Super 2. Having now experienced a lot of the New Zealand circuits and gained experience in the Holden Commodore he will campaign, Smith can concentrate on being a title contender. The 2017-18 BNT V8s Championship was won by Andre Heimgartner who fought all season long with his team mate Jason Bargwanna aboard the Richards Team Motorsport Toyota Camry’s. The young Kiwi finding the race miles invaulable prior to his first season with Nissan Motorsport. 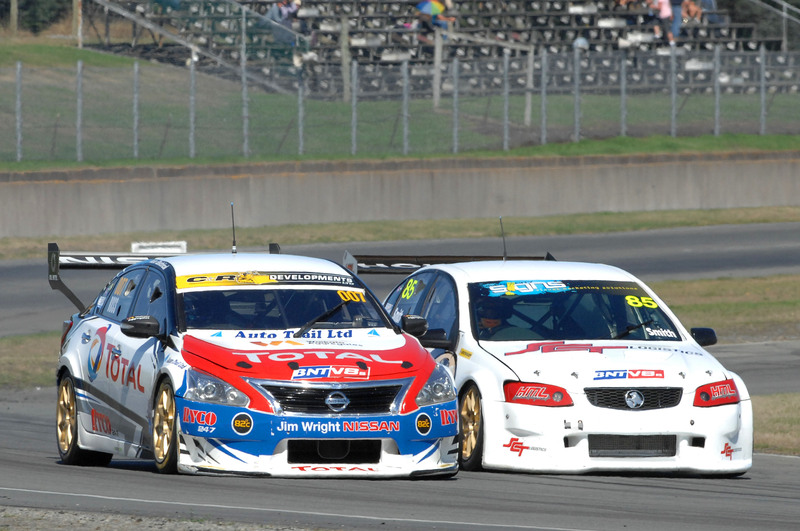 According to BNT V8s category manager Gary Lathrope, Smith is amongst a growing number of Australian drivers looking to the New Zealand series to gain valuable race miles and experience in cars that are very similar to what is raced in Australia. “With Andre Heimgartner winning the championship last season, and Jack Smith coming over here and doing very well, we are seeing increasing numbers of Australian drivers making enquiries about coming and doing the full championship this season,” says Lathrope. “The championship here is a very cost effective form of racing for young New Zealand and Australian drivers wanting to gain experience in V8 touring car racing. We share the same Dunlop tyres as Supercars in Australia, the parity between the cars is excellent and on track the racing is very close. The BNT V8s Championship has six rounds starting at the Pukekohe Virgin Australia Supercars round in November and finishing at Hampton Downs in March. Caption: Jack Smith shone in his first season of BNT V8s, winning rookie of the year and has confirmed he is back for more.